Elephant herds are led by a big mama! Here you can almost hear the bellowing of Mama Kass. 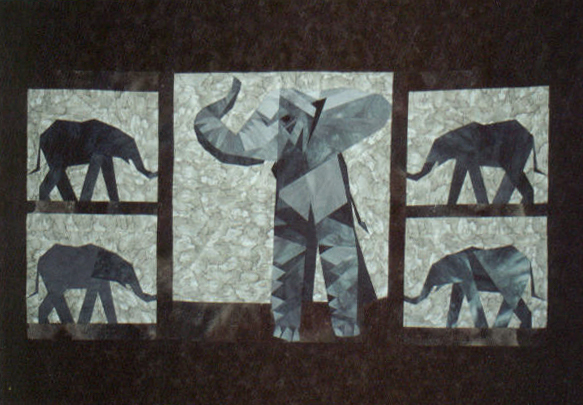 She is supported by a cast of four side elephants. Includes easy detailed instructions for dyeing the gray fabric! All fabric kits include a pattern.